If you’re processing up to 75,000 self-mailers per month, the Formax 2030 AutoSeal® Mid-Volume Pressure Sealer is the quick and efficient solution for your office. 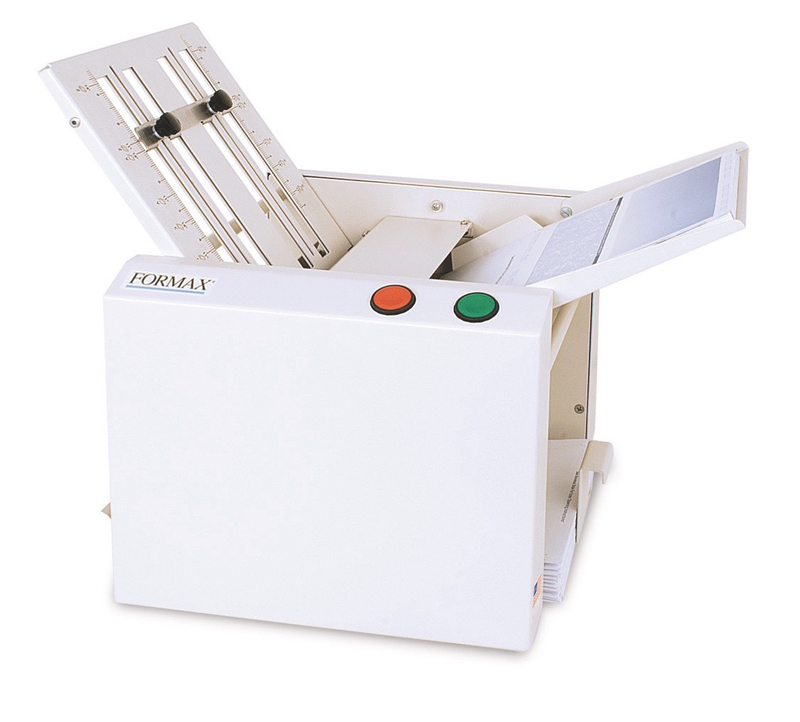 Designed with checks, invoices, and school forms in mind, the FD 2030 will fold and seal virtually any form that will fit on sheets up to 14″. Using the FD 2030 AutoSeal® Mid-Volume Pressure Sealer is as simple as loading the feeder and pressing start. No preliminary fanning of your sheets is required on the way in, and on the other side your finished product is counted accurately for audit control. Thanks to noise reduction covers the operation is quiet and standard self-mailer fold types (Folds “Z”, uneven “Z”, “C”, half folds and custom forms) are easy to program. Like other Formax Pressure Sealer models, the 2030 Mid-Volume Sealer can be optionally configured with a conveyor and Photo Eye for neat and sequential stacking. Your office may also want to consider adding the 400 series jogger to remove static electricity and align your forms – forms that you could store in the optional locking cabinet that serves as a perfect base for the entire unit. The Formax 2030 AutoSeal® Mid-Volume Pressure Sealer is $7,950 at Lloyd’s with a one-year warranty. Plus, we’ll throw in free shipping and a gift with your purchase. For more information on the FD 2030 AutoSeal® Mid-Volume Pressure Sealer or to place an order, please visit the Lloyd’s website.